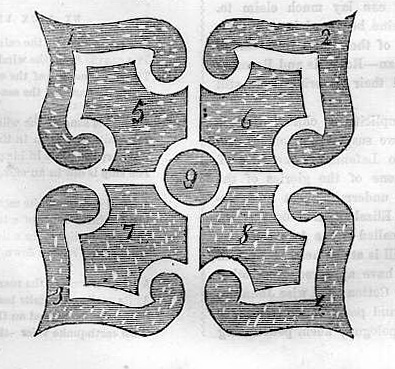 Flower Gardens are of two kinds: those which are planted with flowers indiscriminately in the borders are called mixed flower gardens; and those which are of a regular shape as shown in the figures, and which are planted in masses of flowers of one kind, are called geometrical flower gardens. 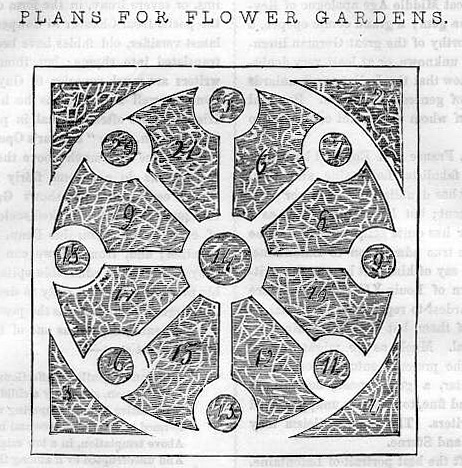 Mixed flower gardens require comparatively little care to arrange and keep in order, as the principal objects to be attended to are to have the tallest plants placed furthest from the eye, and to keep the plants sufficiently distinct to prevent them from being drawn up for want of room. 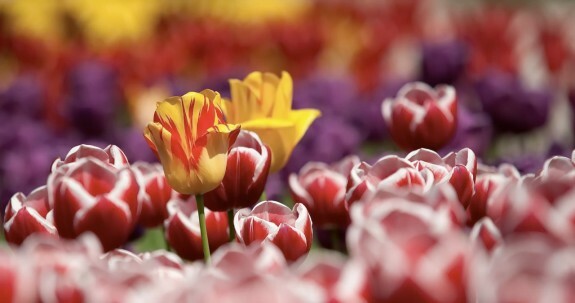 The geometrical flower garden, on the other hand, requires great care in its arrangement; for, as the plants form masses of color, if the colors do not harmonize with each other, they produce a very bad effect. It is, therefore, necessary to draw out a plan for a flower garden, and to color it before it is planted, as then, if the colors do not harmonize, they can be changed with little trouble. In a geometrical flower garden, the colors must be contrived so as to produce a striking effect contrasted with each other, and the plants must be so chosen as to be nearly of the same size, so that the garden, when seen at a distance, may have the effect of a Turkey carpet. The walks in a geometrical flower garden are either grass or gravel, but as in the latter case they must be bordered with box, the garden generally looks better when the beds are on grass.